El Salvador is plagued with endemic gang violence, extreme poverty, and the exploitation of families trying to create a meaningful life. Rather than independent problems requiring targeted solutions, these crippling issues make up a complicated web of knots, connected to each other, that ensnare those unlucky enough to get caught in their grasp. Salvadorans have lost hope for their future. And when hope is extinguished, the only way forward is out. But here’s the good news – there’s a Sister at every one of those knots, heads down, working away. 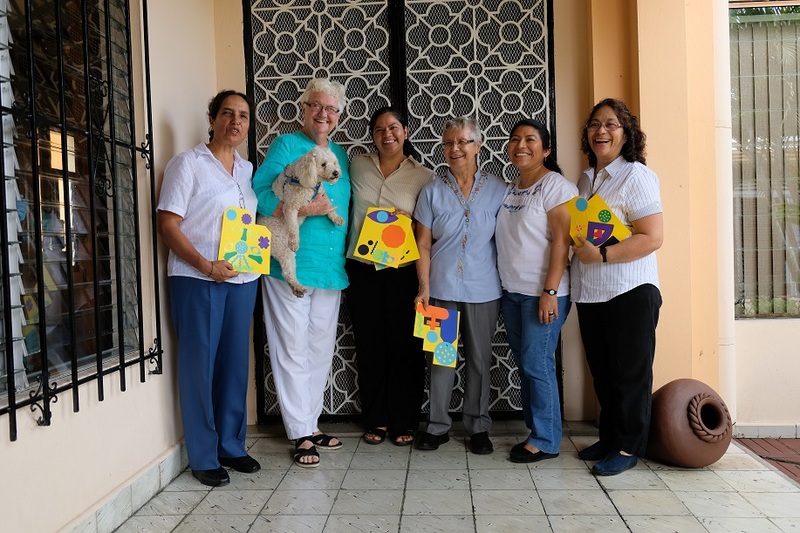 For many in El Salvador, Catholic Sisters represent a counter narrative to the violence and fear communities experience daily. Instead, they’re one of the most beloved and trusted people in their lives. 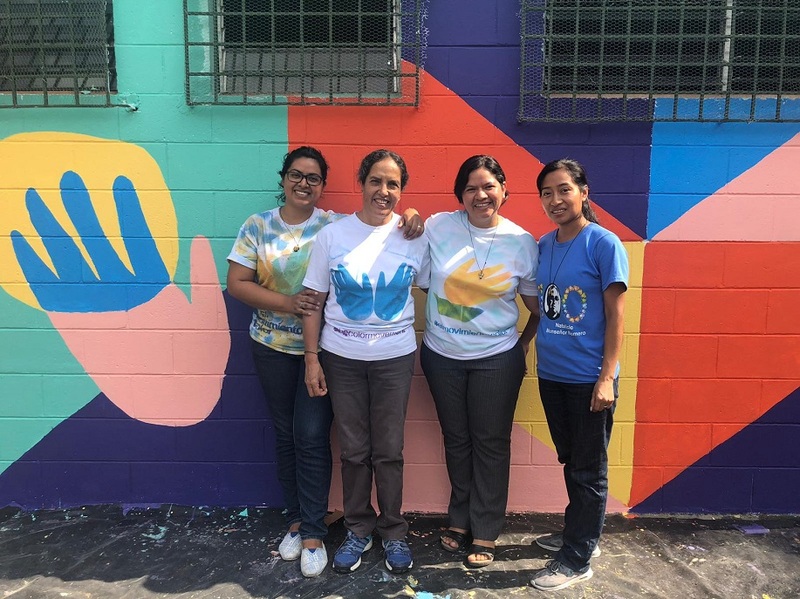 In nearly every corner of El Salvador, Sisters do the hard work of addressing the most pressing needs of their own neighborhoods, day in and day out. ARC is and always will be a non-sectarian, non-religious organization. But we also recognize true humanitarians when we see them. Now, we’ve decided to join forces with the Sisters, amplifying the change they’re already making, lifting their voices in unison. And we’re calling it the Color Movement. 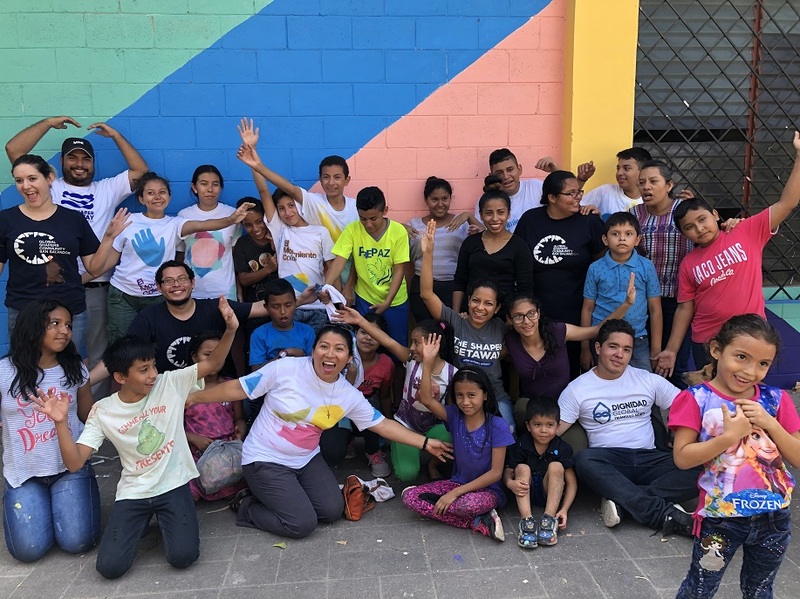 Over the past year, ARC teams have been in El Salvador, learning from and working with Catholic Sisters and the neighborhoods they envelope with their sanctuary spaces. What’s resulted from a year’s worth of learning and insights is a new, breakthrough project created hand-in-hand with Catholic Sisters, their communities, IDEO.org, Global Shapers San Salvador Hub, Minnesota businesspeople, a Sister-led organization called Sisters Rising Worldwide, and ARC. 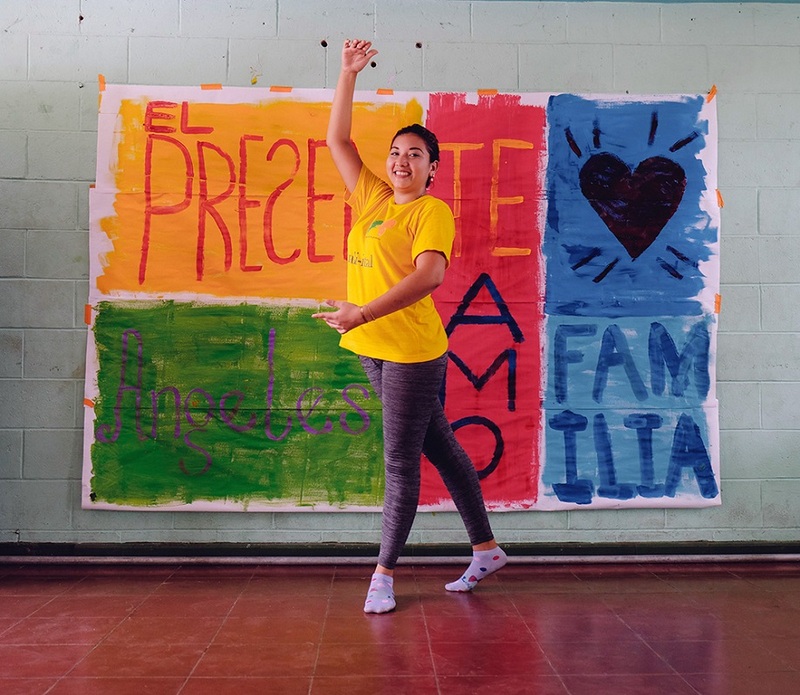 Together, we’ve designed a movement that’s all about joy, shining a light on abundance in El Salvador. The Movement is propelled by three things. First, it’s a bold, beautiful, and colorful identity that unites Sisters and the people they serve, giving kids something positive to rally under. Second, it puts more resources into the hands of the Sisters, amplifying what they’re already doing and bringing to life new ideas for how to do even more. 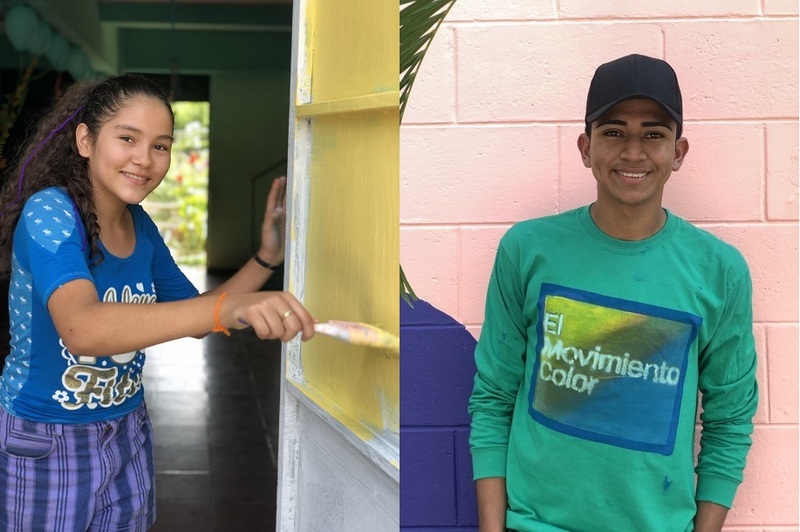 This looks like support both big and small, tailored to their specific communities – things like new youth centers, more school supplies, vocational school, painting classes, women’s empowerment programs, and more. And third, the Color Movement opens up meaningful pathways of connection to the wider world, allowing people in, sharing stories of hope and resilience. They’re not who you think they are. There are 700,000 Nuns around the world, living their lives side by side with the people they serve. They often work without any parish backing or financial support from the Catholic Church, dedicating their lives in entirety to advocating for the most marginalized among us. They’re fierce advocates. And they do it with so much love, respect, and humility. But, Sisters see success through those they advocate for – and not always through themselves. They often have a difficult time articulating exactly what they do, because they’re too in the weeds to see it. They don’t celebrate their own successes or measure their daily impact – there’s just too much else to do. As a result, funding that might profoundly amplify their work has remained elusive. Yet Sisters have built an unmatched social capital amongst people who they love and share their lives with. They’re often the humanitarians making the biggest difference. They’re powerful feminists. They’re quick to laugh – and even quicker to fight for someone in need. In a sea of fear and violence, Sisters are trusted. They provide the needed sanctuary, the warm embrace, the pathways for change and opportunity. The Sisters offer an alternative identity to a life of violence, one that thrives on goodness, peace, and unity. We invite you to come along for the ride. Please reach out to Annie Nolte-Henning with questions at AnnieN@arcrelief.org or +1 (612) 874 – 5467.